Coaches must be certified Level 2 to begin Level 3 training. Coaches must choose four out of the six offered modules below, focused on training coaches who are working with athletes who are in the of stages of long-term athlete development. Four of the six modules must be completed to meet the requirement for Level 3. The technical courses cover Level 3 specific skills for each discipline (Trampoline and Rhythmic). Women’s and Men’s Artistic Gymnastics training courses have transferred over to the new NCCP Competition Stream. Following completion of the Competition Development modules and technical courses, coaches must complete the practical requirement to become certified Level 3. A coach is certified once they have completed the three Level 3 components: Theory modules for Level 3 (4 out of 6), Technical and Practical. 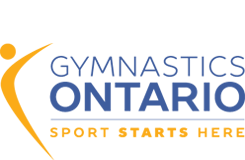 Coach Exemption for National Events must be apply for directly through Gymnastics Canada. The fee for the application will be determined by the date at which the application, fee and all documents are received at the National Office.